Last week, my home state of California issued a moratorium on the death penalty — a system that has proven time and again to be an abject failure. It has wasted taxpayer money, has not kept our communities safe, and has discriminated against those with mental illness and people of color. This is an important step forward. But I believe we must take it one step further and abolish the federal death penalty. This failed system is immoral, and as President I would lead the fight to end it. It’s simply the right thing to do. It is up to each and every one of us as citizens of this country to stand up for justice. That is why I’m asking for your voice today. Join me in calling for an end to the death penalty nationwide. Wow! We hoped that the first days of Beto’s campaign for president would be huge, but we didn’t know they would be quite like this. You left us speechless. Together, we made history by raising a record-breaking $6.1 MILLION for Beto in the first 24 hours. That’s more than any presidential campaign launch ever. But we can’t slow down. Our next big moment is March 30, and we need you with us. Wow! 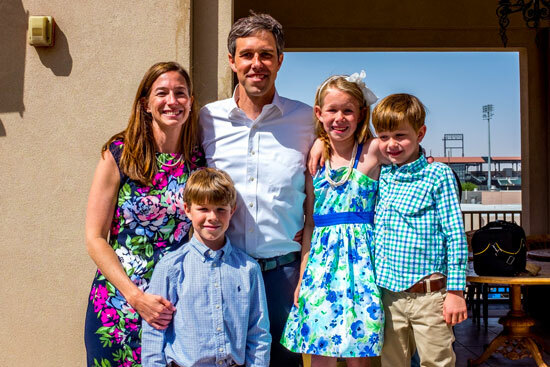 We hoped that the first days of Beto’s campaign for president would be huge, but we didn’t know they would be quite like this. You left us speechless. Together, we made history by raising a record-breaking $6.1 MILLION for Beto in the first 24 hours. That’s more than any presidential campaign launch ever. That kind of people power is what allows us to build a campaign at the scale needed to win. But we can’t slow down. Our next big moment is March 30, and we need you with us. 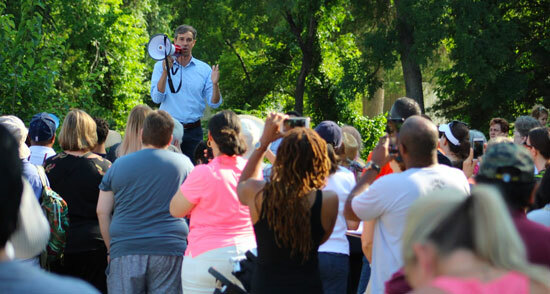 People across the country will gather together for livestream watch parties to tune in to Beto’s launch rally in El Paso. Can Beto count on you to host a livestream watch party in your home or another venue on March 30? To build a winning campaign, we need as many people as possible gathering friends and neighbors together for this moment. This is a reminder of the Region 8 meeting that will take place this Saturday, March 23 in Visalia. The meeting will begin at 9:30 a.m. CDP Chair candidates will be present and will have an opportunity to speak. There will also be training for new assembly delegates. The 2020 election will be the fight of our lifetimes, and the Democratic Party is already gearing up for what is sure to be a long and hard-fought race for the White House and seats nationwide. I’m coming to you today to share a key component of our party’s strategy for taking back the White House and seats nationwide in 2020. Congress voted to block President Trump’s unconstitutional emergency to pay for a border wall, but Trump blocked their effort with a veto. Our court fight is now more important than ever to stop Trump’s “emergency” declaration — add your name to stand with us. Last week, the Senate voted to reverse President Trump’s illegal national emergency declaration over his xenophobic border wall, just as the House did…but Trump blocked their effort by issuing a veto. While President Trump can veto Congress, he can’t stop us from fighting this fake emergency in court. Add your name now to join the fight. This is our eleventh hour. For far too long, in far too many places, our leaders ignored and denied the evidence. And now, our future is in peril. Climate change is the existential threat to our way of life. I’m running for president because if we don’t act right here and right now, it’ll be too late to prevent the worst consequences. In a moment, I’ll tell you more about our mission to combat climate change. But first let me ask you directly: Will you make a donation of $5 or more to unlock your founding donor card? Take our first, official Medicare for All survey. We’ll review the results and get them to Bernie this week. So we’re hoping to hear from you today. When Bernie Sanders started talking about a Medicare for All, single-payer health care system, they called him a radical. They said it was a fringe idea. But then our 2016 campaign happened, and because of you health care as a right is now an idea supported by a majority of the American people. So today, the calls from our opponents have changed. They don’t say we’re radical anymore. Today they say things like “slow down,” or that incremental change is the best we can do. You’ll mostly hear those calls coming from inside of D.C. think tanks, or from insurance company lobbyists and people with excellent health care. Take our first official Medicare for All survey. We’ll review the results and get them to Bernie this week. So we’re hoping to hear from you today. Two weeks from today, we close the books on the first official fundraising deadline of our campaign. Shortly after, we’ll report how much money we’ve raised and how many individual donations got us to that number. But we’d love to go for it. Because if we got there … we can only tell you the political establishment and corporate media would be absolutely floored. 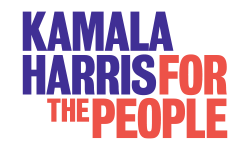 Can you make a $3 donation to our campaign as we approach the end of our first official FEC fundraising deadline? The report we put out will send a very important message about why we’re the best campaign to beat Trump. As the first woman elected to the U.S. Senate from Minnesota, Amy knows a thing or two about breaking glass ceilings. From the Hennepin County Attorney’s Office to the U.S. Senate, she’s found success by finding common ground, speaking truth to power, and getting results. And that’s exactly what she’ll do as President of the United States. Almost two years ago, Beto started a very different kind of campaign. We set out to listen to people in 254 counties. People who hadn’t been listened to in a long time. Along the way, our team grew and grew. People started volunteering at levels we’d never seen before. Opening up their homes, knocking doors. Do you support the Green New Deal? Yes — this was actually the very first question I got out on the campaign trail. Climate change has imperiled our planet, and it’s going to require bold action like the Green New Deal to save it. That means making a dramatic investment in green energy, which we know will create the jobs of the future. The United States of America needs to be leading this effort. How do you feel about LGBTQ rights and what will you do for us? LGBTQ rights are civil rights. But right now in over half the country, LGBTQ people can still legally be discriminated against just because of their sexual orientation or gender identity. I helped to introduce the Equality Act, to fully protect LGBTQ Americans from discrimination under federal law, because no one should ever have to live in fear of being fired from their job or evicted from their home or denied an education just because of who they are or who they love. We’ve got to ensure that our most vulnerable have the resources to protect themselves from those that would harm them. That means addressing the systemic, ingrained racism that runs rampant in this country. How will you do that? Systemic racism in our country permeates our public policy and every aspect of public life — erecting barriers to access, from economic opportunity to educational opportunity, to clean air and water, to affordable, quality healthcare, to a justice system that fairly applies the law, to equal access to the ballot box, and more. I want welcome you to our California Democratic Party family. In my more than 15 years of active involvement as a grassroots activist, County Chair, Party Secretary, and now Vice-Chair, that’s what I’ve found it to be: a family. We have our siblings in labor, grassroots activist cousins, and yes, even that uncle or aunt you disagree with on just about everything and try to avoid. But, above it all in our California Democratic Party family, we share a common core commitment that we can do better, and it is up to each one of us to make that happen. Housing isn’t just the number one cost for most families. It affects the jobs we can get, the schools our kids can go to, and the kind of communities we can live in. So if our government gets housing policy wrong, it hurts millions of families. And it has. For decades, Washington has cut investments in housing for middle-class and lower-income Americans — even when rents shot up and up. And decades of outright discrimination by the federal government denied Black families the same kinds of homeownership opportunities available to white families. Since housing is how so many families build up wealth over time, that’s a part of why there’s such a wide racial wealth gap. We’ve got to get this right. So this week, I’ve reintroduced my American Housing and Economic Mobility Act to bring down rents by 10% across America, create 1.5 million new jobs, and take the first steps to address the racial wealth gap — all without adding a dime to the deficit. Add your name to become a citizen-cosponsor today, and join the fight to pass this bill. My name is Lenore Albert and I am running for Chair of the California Democratic party. It is with a heavy heart to have to welcome you when our country and world is falling apart and violence is spilling over.